Alas, all the evil of the twentieth century is possible everywhere on earth. Yet I have not given up all hope that human beings and nations may be able, in spite of all, to learn from the experience of other people without having to live through it personally. Therefore, I gratefully accepted Professor Ericson’s suggestion to create a one-volume abridgement of my three-volume work, The Gulag Archipelago. For a few decades the word Holocaust has served us well as a shorthand term for modern man’s inhumanity to man. In recent years a second such shorthand term has entered our working vocabulary: Gulag. This term comes to us not from a host of witness but from one lone man: Aleksandr Solzhenitsyn, whose very name has become a household word around the world. Were The Gulag Archipelago to be even more widely read than it has been, it would, I believe, make an indelible impression on the modern mind and have a salutary effect on the whole world. Here we have the greatest horror story of human history—in quantitative terms, at least (the comparable toll in China having not yet been calculated)—and, although it happened during our lifetime, most of us do not even know about it. This work was written especially for future generations of Russians. It is these readers in particular who need to know, in as much detail as possible, the truth of their history. This abridged text is designed for the general reader, not for the scholar. At Solzhenitsyn’s own suggestion, I have eliminated much of his personal story, though parts of it I treasure too much to drop. Needless to say, I take responsibility for any errors of omission or commission. I hope only that any mistakes which I have made do not interfere with the transmission of Solzhenitsyn’s words to an audience which I believe desperately needs to hear them. And the Kolyma was the greatest and most famous island, the pole of ferocity of that amazing country of Gulag which, though scattered in an Archipelago geographically, was, in the psychological sense, fused into a continent—an almost invisible, almost imperceptible country inhabited by the zek people. And this Archipelago crisscrossed and patterned that other country within which it was located, like a gigantic patchwork, cutting into its cities, hovering over its streets. Yet there were many who did not even guess at its presence and many, many others who had heard something vague. And only those who had been there knew the whole truth. In this book there are no fictitious persons, nor fictitious events. People and places are named with their own names. If they are identified by initials instead of names, it is for personal considerations. If they are not named at all, it is only because human memory has failed to preserve their names. But it all took place just as it is here described. This book could never have been created by one person alone. In addition to what I myself was able to take away from the Archipelago—on the skin of my back, and with my eyes and ears—material for this book was given me in reports, memoirs, and letters by 227 witness, whose names were to have been listed here. What I here express to them is not personal gratitude, because this is our common, collective monument to all those who were tortured and murdered. How do people get to this clandestine Archipelago? At ticket windows or at travel bureaus for Soviet or foreign tourists the employees would be astounded if you were to ask for a ticket to go there. They know nothing and they’ve never heard of the Archipelago as a whole or of any one of its innumerable islands. Arrest! Need it be said that it is a breaking point in your life, a bolt of lightning which has scored a direct hit on you? That it is an unassimilable spiritual earthquake not every person can cope with, as a result of which people often slip into insanity? The Universe has as many different centers as there are living beings in it. Each of us is a center of the Universe, and that Universe is shattered when they hiss at you: “You are under arrest.” The gate behind us, the gate to our past life, is slammed shut once and for all. It is an alien, brutal, and crushing force totally dominating the apartment for hours. And nothing is sacred in a search! During the arrest of the locomotive engineer Inoshin, a tiny coffin stood in his room containing the body of his newly dead child. The “jurists” dumped the child’s body out of the coffin and searched it. They shake sick people out of their sickbeds, and they unwind bandages to search beneath them. They take you from a military hospital with a temperature of 102, as they did with Ans Bernshtein, and the doctor will not raise a peep about your arrest—just let him try! They’ll take you right off the operating table—as they took N.M. Vorobyev, a school inspector, in 1936, in the middle of an operation for stomach ulcer—and drag you off to a cell, as they did him, half-alive and all bloody. And even in the fever of epidemic arrests, when people leaving for work said farewell to their families every day, because they could not be certain they would return at night, even then almost no one tried to run away and only in rare cases did people commit suicide. And that was exactly what was required. A submissive sheep is a find for a wolf. Universal innocence also gave rise to the universal failure to act. Vanya Levitsky: “Every honest man is sure to go to prison. Right now my papa is serving time, and when I grow up they’ll put me in too.” (They put him in when he was twenty-three years old.) The majority sit quietly and dare to hope. Since you aren’t guilty, then how can they arrest you? It’s a mistake! They are already dragging you along by the collar, and you still keep on exclaiming to yourself: “It’s a mistake. They’ll set things straight and let me out!” Others are being arrested en masse, and that’s a bothersome fact, but in those other cases there is always some dark area: “Maybe he was guilty…?” But as for you, you are obviously innocent! You still believe that the Organs are humanly logical institutions: they will set things straight and let you out. I myself lugged a fifth suitcase with no great joy since it contained my diaries and literary works, which were being used as evidence against me. My cellmates—tankmen in soft black helmets—hid nothing. They were three honest, openhearted soldiers—people of a kind I had become attached to during the war years because I myself was more complex and worse. All three had been officers. I was bursting with indignation that some ignoramus of a master sergeant dared to give orders to us officers: “Hands behind your backs!” But the tank officers put their hands behind them and I followed suit. Although I have no statistics at hand, I am not afraid of erring when I say that the wave of 1937 and 1938 was neither the only one not even the main one, but only one, perhaps, of the three biggest waves which strained the murky, stinking pipes of our prison sewers to bursting. Before it came the wave of 1929 and 1930, the size of a good River Ob, which drove a mere fifteen million peasants, maybe even more, out into the taiga and the tundra. But peasants are a silent people, without a literary voice, nor do they write complaints or memoirs. This wave poured forth, sank down into the permafrost, and even our most active minds recall hardly a thing about it. It is as if it had not even scarred the Russian conscience. And yet Stalin (and you and me as well) committed no crime more heinous than this. And after it there was the wave of 1944 to 1946. But in this wave, too, the people were of the simpler kind, and they wrote no memoirs. But the wave of 1937 swept up and carried off to the Archipelago people of position, people with a Party past, yes, educated people, around whom were many who had been wounded and remained in the cities… and what a lot of them had pen in hand! But just so God alone can hear. (She received a ten-year sentence for these verses.) A person convinced that he possessed spiritual truth was required to conceal it from his own children. In the twenties the religious education of children was classified as a political crime under Article 58-10 of the Code. In 1929, also, those historians who had not been sent abroad in time were arrested… It even reached a point of such confusion that men and women were imprisoned in the same cells and used the latrine bucket in each other’s presence—who cared about those niceties? Give up your gold, vipers! The interrogators had one universal method: feed the prisoners nothing but salty food and give them no water. Whoever coughed up gold got water. One gold piece for a cup of water! In sheer size this nonrecurring tidal wave (it was an ocean) swelled beyond the bounds of anything the penal system or even an immense state can permit itself. There was nothing to be compared with in all Russian history. It was the forced resettlement of a whole people, an ethnic catastrophe. In 1941 the Germans went round Tagnrog, cutting it off so swiftly that prisoners were left in freight wagons at the railway station where they had been brought to be evacuated. What should one do with them? Certainly not set them free nor leave them to the Germans. Oil tank trucks were rushed to the station, and the wagons were drenched with oil and set on fire. All the prisoners were burned alive. What had already been regarded as barbarism under Peter the Great, what might have been used against ten or twenty people in all during the time of Biron in the mid-eighteenth century, what had already become totally impossible under Catharine the Great, was all being practiced during the flowering of the glorious twentieth century—in a society based on socialist principles—not by one scoundrel alone, but by tens of thousands of specially trained human beasts standing over millions of defenseless victims. As early as 1921 interrogations usually took place at night. And there was an airtight cork-lined cell in which there was no ventilation and they cooked the prisoners. A participant in the Yaroslavl uprising of 1918, Vasily Aleksandrovich Kasyanov, described how the heat in such a cell was turned up until your blood begin to ooze through your pores. Then in the years 1937-1938, in view of the extraordinary situation prevailing (the specified millions of admissions to the Archipelago had to be ground through the apparatus of individual interrogation in specified, limited periods, something which had simply not happened in the mass waves of kulaks and nationalities), interrogators were allowed to use violence and torture on an unlimited basis, at their own discretion. For the first time in human history the calculated torture of millions was being undertaken. In the Novocherkassk NKVD, Yelena Strutimskaya was forced to remain seated on a stool in the corridor for six days in such a way that she did not lean against anything, did not sleep, did not fall off, and did not get up from. Six days! Just try to sit that way for six hours! People could be compelled to kneel in the interrogator’s office or the corridor for twelve, or even twenty-four hours. (The interrogator himself could go home, sleep, amuse himself in one way or another—this was an organized system; watch was kept over the kneeling prisoner, and the guards worked in shifts.) What kind of prisoner was most vulnerable to such treatment? It was a good method to use with women. Ivanov-Razumnik reports a variation of it: Having set young Lordkipanidze on his knees, the interrogator urinated in his face! And what happened? Unbroken by anything else, Lordkipanidze was broken by this. Watch shows that the method also worked well on proud people. Then there is the method of simply compelling the prisoner to stand there, and if he goes to sleep and falls over he is given a kick and straightened up. Sleeplessness, which they quite failed to appreciate in medieval times: They did not understand how narrow are the limits within which a human being can preserve his personality intact. Sleeplessness (yes, combined with standing, thirst, bright, light terror, and the unknown—what other tortures are needed?) befogs the reason, undermines the will, and the human being ceases to be himself, to be his own “I.” (As in Chekov’s “I Want to Sleep,” but there it was much easier, for there the girl could lie down and slip into lapses of consciousness, which even in just a minute could revive and refresh the brain.) A person deprived of sleep acts half-consciously or altogether unconsciously, so that his testimony cannot be held against him. Sometimes, as a refinement, instead of making the prisoner stand up, they made him sit down on a soft sofa, which made him want to sleep all the more. (The jailer on duty sat next to him on the same sofa and kicked him every time his eyes began to shut.) Sleeplessness became the universal method of the Organs. The prisoners were forbidden to sleep even one minute. Whoever was undergoing interrogation got no sleep for at least five days and nights. The above method was further implemented by an assembly line of interrogators. Not only were you not allowed to sleep, but for three or four days shifts of interrogators kept up a continuous interrogation. As long ago as 1933 this was one of the ways they tortured S.A. Chebotaryev in the Khabarovsk GPU. They locked him in a concrete alcove in such a way that he could neither bend his knees, nor straighten up and change the position of his arms, not turn his head. And that was not all! They began to drip cold water into his scalp—a classic torture—which then ran down his body in rivulets. They did not inform him, of course, that this would go on for only twenty-four hours. It was awful enough at any rate for him to lose consciousness, and he was discovered the next day apparently dead. He came to on a hospital cot. They had brought him out of his faint with spirits of ammonia, caffeine, and body massage. At first he had no recollection of where he had been, or what happened. For a whole month he was useless for interrogation. [The] bridling, also known as “the swan dive”: This was a Sukhanovka method—also used in Archangel, where the interrogator Ivkov applied it in 1940. A lone piece of rough toweling was inserted between the prisoner’s jaws like a bridle; the ends were then pulled back over his shoulders and tied to his heels. Just try lying on your stomach like a wheel, with your spine breaking—and without water and food for two days! Is it necessary to go on with the list? You have a power over all the people in that military unit, or factory, or district, incomparably greater than that of the military commander, or factory director, or secretary of the district Communist Party. These men control people’s military or official duties, wages, reputations, but you control people’s freedom. From the moment you don that heavenly blue service cap, you stand higher than the publicly acknowledged power. The girl is blushing all over and in tears. “It doesn’t have anything to do with the case,” she protests. “Yes, it does, speak up!” If you want, she’ll demonstrate with her body. She has no way out. In your hands you hold the punishment cell and her prison term. To know what it meant to be a bluecap one had to experience it! Anything you saw was yours! [But] let everyone ask himself: “If my life had turned out differently, might I myself not have become just such an executioner?” Twenty-year-olds, we marched in the ranks of those born the year the Revolution took place, and because we were the same age as the Revolution, the brightest of futures lay ahead. It would be hard to identify the exact source of that inner intuition, not founded on rational argument, which prompted our refusal to enter the NKVD schools. It certainly didn’t derive from the lectures on historical materialism we listened to: it was clear from them that the struggle against the internal enemy was a crucial battlefront, and to share in it was an honorable task. Still, some of us were recruited at that time, and I think that if they had really put the pressure on, they could have broken everybody’s resistance. So I would like to imagine: if, by the time war broke out, I had already been wearing an NKVD’s officer’s insignia on my blue tabs, what would I have become? So let the reader who expects this book to be a political exposé slam its covers shut right now. If only it were all so simple! If only there were evil people somewhere insidiously committing evil deeds, and it were necessary only to separate them from the rest of us and destroy them. But the line dividing good and evil cuts through the heart of every human being. Socrates taught us: Know thyself! Confronted by the pit into which we are about to toss those who have done us harm, we halt, stricken dumb: it is after all only because of the way things worked out that they were the executioners and we weren’t. Just how are we to understand that? As the act of an evildoer? What sort of behavior is this? We would prefer to say that such people cannot exist, that there aren’t any. It is permissible to portray evildoers in a story for children, so as to keep the picture simple. But when the great world literature of the past—Shakespeare, Schiller, Dickens—inflates and inflates images of evildoers of the blackest shades, it seems somewhat farcical and clumsy to our contemporary perception. The trouble lies in the way these classic evildoers are pictured. They recognize themselves as evildoers, and they know their souls are black. And they reason: “I cannot live unless I do evil. So I’ll set my father against my brother! I will drink the victim’s sufferings until I’m drunk with them!” Iago very precisely identifies his purposes and his motives as being black and born of hate. But no; that’s not the way it is! To do evil a human being must first of all believe that what he’s doing is good, or else that it’s a well-considered act in conformity with natural law. Fortunately, it is in the nature of the human being to seek a justification for his actions. Macbeth’s self-justifications were feeble—and his conscience devoured him. Yes, even Iago was a little lamb too. The imagination and the spiritual strength of Shakespeare’s evildoers stopped short at a dozen corpses. Because they had no ideology. Meanwhile, if we translate 86,000 West Germans into our own terms, on the basis of comparative population figures, it would become one-quarter of a million. Why is Germany allowed to punish its evildoers and Russia is not? What kind of disastrous path lies ahead of us if we do not have the chance to purge ourselves of that putrefaction rotting inside our body? What, then, can Russia teach the world? Someday our descendants will describe our several generations as generations of driveling do-nothings. In keeping silent about evil, in burying it so deep within us that no sign of it appears on the surface, we are implanting it, and it will rise up a thousandfold in the future. How is one to take the title of this chapter? Out of all the cells you have been in, your first cell is a very special one. All your life you will remember it… those days when you rethought your entire life. But it was not the dirty floor, nor the murky walls, nor the odor of the latrine bucket that you loved. For a week or a month you had been an abandoned waif, alone among enemies, and you had already said good-bye to reason and to life; and you had already tried to kill yourself by “falling” from the radiator in such a way as to smash your brains against the iron cone of the valve. Then all of a sudden you are alive again. And reason returned to you. And that was the purpose of silent Sukhanovka: to leave the prisoner not a single moment for sleep, not a single stolen moment for privacy. You were always being watched and always in their power. But if you endured the whole duel with insanity and all the trials and loneliness, and had stood firm, you deserved your first cell! And now when you got into it, your soul would heal. I had been dueling for four days with the interrogator, when the jailer, having waited until I lay down to sleep in my blindingly lit box, began to unlock my door. I heard him all right, but before he could say: “Get up! Interrogation!” I wanted to lie for another three-hundredths of a second. One night of undisturbed sleep was more important than all the fates on earth! And I lay there. Interrogation still pending over me, but how far it had retreated! And there was no reason to be bored with my companions. They were people to listen and people with whom to compare notes. The old fellow with lively eyebrows—and at sixty-three he in no way bore himself like an old man—was Anatoly Ilych Fastenko. There was much in Fastenko I could not understand. In my eyes, perhaps the main thing about him, and the most surprising, was that he had known Lenin personally. Yet he was quite cool in recalling this. (Such was my attitude at the time that when someone in the cell called Fastenko by his patronymic alone, without using his given name—in other words simply “Ilych,” asking: “Ilych, is it your turn to take out the latrine bucket?” —I was utterly outraged and offended because it seemed sacrilege to me not only to use Lenin’s patronymic in the same sentence as “latrine bucket,” but even to call anyone on earth “Ilych” except that one man, Lenin.) Observing my enthusiasm, more than once Fastenko said to me insistently: “You are a mathematician; it’s a mistake for you to forget that maxim of Descartes: ‘Question everything!’ Question everything!” What did this mean—“everything”? Certainly not everything! When, in the spring of 1943, recruiters from the first Byelorussian “legions” put in an appearance, some POWs signed up with them to escape starvation. Yuri went with them out of conviction, with a clear mind. Yuri became lieutenant in the German Army. In all, Yuri spent three weeks in our cell. I argued with him all these weeks. I said that our Revolution was magnificent and just; that only its 1929 distortion was terrible. He looked at me regretfully, compressing his nervous lips. On May 2 a thirty-gun salute roared out. That meant a European capital. Only two had not yet been captured—Prague and Berlin. We tried to guess which it was. Along with them [a big wave of civilians that flowed into the Archipelago] were seized no less than one million fugitives from the Soviet government —civilians of all ages and both sexes who in 1946-1947 were perfidiously returned by Allied authorities into Soviet hands […]. Not until 1973—in the Sunday Oklahoman of January 21—was an article by Julius Epstein published. And I am here going to be so bold as to express gratitude on behalf of the mass of those who perished and those few left alive. One random little document was published from the many volumes of the hitherto concealed case history of forced repatriation to the Soviet Union. That spring of 1945 was, in our prisons, predominantly the spring of the Russian prisoners of war. Not only war prisoners passed through those cells. A wave of those who had spent any time in Europe was rolling too: émigrés from the Civil War; the “ostovtsy”—workers recruited as laborers by the Germans during World War II. It was the war prisoners who constituted the bulk of the wave. “The Motherland has forgiven you! The Motherland has forgiven you!” and snared them the moment they reached the frontiers. It would appear that during the one thousand one hundred years of Russia’s existence as a state there have been, ah, how many foul and terrible deeds! But among them was there ever so multimillioned foul a deed as this: to betray one’s own soldiers and proclaim them traitors? Then, under the most just social system in the world, came the most just war of all—and all of nowhere millions of traitors appeared, from among the simplest, lowliest elements of the population. How is this to be understood and explained? Capitalist England fought at our side against Hitler; Marx had eloquently described the poverty and suffering of the working class in the same England. Why was it that in this war only one traitor could be found among them—but in our country millions? Vlasov made public appearances in the theaters of Smolensk and Pskov, both filled to capacity; he spoke about the goals of the liberation movement and then proceeded to declare openly that national socialism was unacceptable for Russia but that, on the other hand, it was impossible to overthrow the Bolsheviks without the Germans. Those were the last months during which millions of Soviet people were still out of Stalin’s reach and could fight against the Bolshevik slavery and organize their own independent existence. But there was a gap between the Russian and the Western conscience which exist to this day. The West was fighting only against Hitler, and for this purpose all means and all allies were good, the Soviets above all. Not only could the West not concede that the Soviet people might have their own purposes which did not coincide with the goals of the Communist government; it did not want to admit any such thought, because it would have been embarrassing and difficult to live with. It is a tragicomic fact that on the leaflets which the Western allies were distributing among the anti-Bolshevik volunteer battalions on the Western front, they wrote: “We promise all defectors that they will be immediately sent back to the Soviet Union.” We soon discovered that they really were Russians fighting against us and that they fought harder than any SS men. The West simply has to understand that Bolshevism is an enemy for all mankind. But the West did not understand at all. In World War II the West kept defending its own freedom and defended it for itself. As for us and as for Eastern Europe, it buried us in an even more absolute and hopeless slavery. But nobody heard that squeaking. Most of the America military commanders were amazed to learn about the existence of Russians who were not Soviets; they thought it quite natural to hand them all over to the Soviet state. The ROA [Russian Liberation Army] not only surrendered to the Americans; it implored them to accept its capitulation and begged for one thing only: the promise that Americans would not extradite them to the Soviets. In Yalta Churchill and Roosevelt had signed the agreement to repatriate all Soviet citizens, and especially the military, without specifying whether the repatriation was to be voluntary or enforced: How could any people on earth not be willing to return to their homes? The nearsightedness of the West was condensed in what was written at Yalta. But even that was only the beginning. During all of 1946 and 1947 the Western allies, faithful to Stalin, continued to turn over to him Soviet citizens, former soldiers as well as civilians. It did not really matter who they were as long as the West could get rid of this human confusion as quickly as possible. People were extradited from Austria, Germany, France, Denmark, Norway, and Sweden, from the American occupation zones, and from the territory of the United States as well. Now, a quarter of a century later, when most of the Vlasov men have perished in camps and those who have survived are living out their lives in the Far North, I would like to issue a reminder, through these pages, that this was a phenomenon totally unheard of in all world history: that several hundred thousand young men, aged twenty to thirty, took up arms against their Fatherland as allies of its most evil enemy. For the other nine books see here. Luckily, Communists got a taste of their own medicine at the hands of Shi’ites in Iran. The Afghans also knew how to deal with them. Isn’t the GULAG system a precise pattern for the future ethnostate? I enjoyed every word about the arrest, and torture, and indifference to the human fate. Should we be sissy humanists, César? Or ruthless warriors of the Aryan Empire? Shouldn’t we kill and slaughter and ruin fates for Negroids, Mongoloids, Jews and race traitors? It’s bad when it’s done to us. It’s good when it’s done to our enemy. If you’re of a different opinion, I don’t know what to say. Please, be short, honest and clear. You are one of the most brutal White thinkers, yet you have so many defeatist statements pandering to emotions. Bolshevism did _less harm_ than Liberalism. Bolshevists did not propagate degenerate art (Khrushchev publicly called the avant-garde artists paederasts on December 1st, 1962). 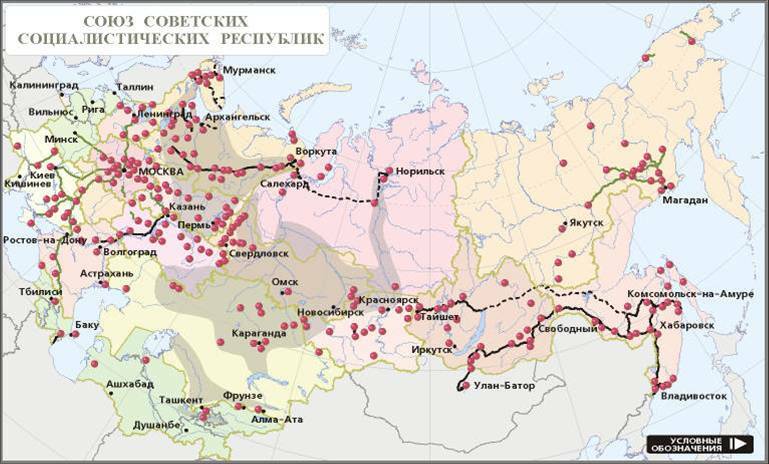 Bolshevists did not move Mongoloids to Russian cities (they expatriated Tatars from Crimea). And the fertility rate did not drop below the replacement level. Again, if you try to portray Bolshevism as bad because it was a dictatorship, it’s hilarious. It contradicts your whole world view. It was bad because it was not National Socialism, simple as that. But it’s still better than what we have today. I have never said that the Eastern bloc was worse than Western capitalism for white interests; quite the contrary. But those unaware of the details of the 60 million killed under Lenin and Stalin are “historical fools” (as a reviewer of the Archipelago said). Thanks for clarification! The books is indeed highly impressive and an amazing read.